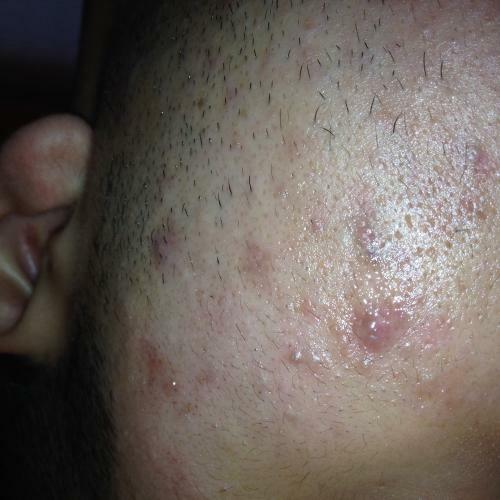 To me they look like pimples under scars from past pimples. I have those too. 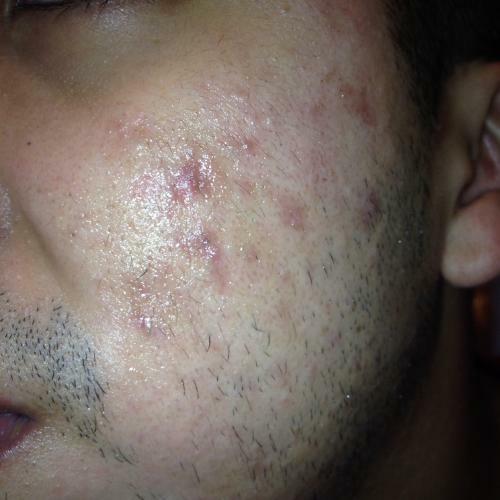 I'm not sure how much it will help you but something that could help are salicylic acid peels. I ordered a kit from amazon for only about $20. it was 20% SA and had some tea tree oil and lactic acid in it. I don't think I've been using it long enough to really tell the difference but I think it has helped some. The good thing about it is that it doesn't really make your skin peel like a lot of other peels do. It may make it a little dry and flaky but its not even near as bad as other peels. I do mine once a week and I started with it only for 30 seconds then I kept increasing it and right now I'm at 5 minutes. Its really cheap for an acne treatment so its worth a shot right?